Morning flight to Lukla (2800m). Trek to Phakding (2652m). Trekking time 3-4 hours. Continue trek to Namche Bazaar (3440m). A steep all day uphill climb 7-8 hours. Continue trek to Phortse Tenga (3500m), (6-7 hours). Trek to Dole (4040m), ( 4-5 hours). Trek to Mochermo (4410m), (4-5 hours). 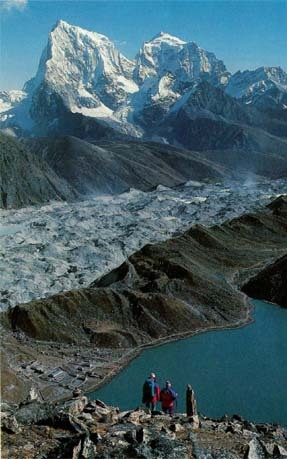 Trek to Gokyo (4750m), (5-6 hours). Early morning climb up to summit of Gokyo Peak (5483m), 5 hours (both way). Trek to Thare (4390m), (6-7 hours). 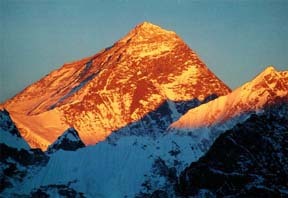 Trek to Tyangboche (3867m), (6-7 hours).